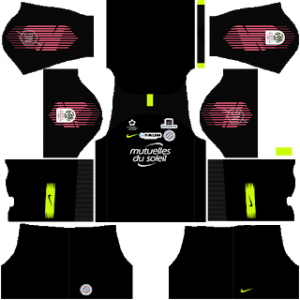 In this article, you can find and download Dream League Soccer (DLS) Montpellier Kits and Logos 2018, 2019 Edition with URLs. Montpellier is a professional football team from France. According to Wikipedia, the club was founded in 1919, 99 years ago. Montpellier competes in the top Division of French football i.e., the Ligue 1. Stade de la Mosson is their home ground which can hold 32,900 visitors at a time. La Paillade is the nickname given to this club. Lots of managers have changed from time to time, Michel Der Zakarian is the current manager of this young and talented side. If you want to play Dream League Soccer 2018 with Montpellier kits, you can download it from the URLs provided below. Dream League Soccer is one of the most popular and amazingly addictive football game. In DLS you can change the kits and logos of your team. In order to do that you will need the URL of the kits to download. So in this post, we are providing the Dream League Soccer Montpellier kits and logo to download and play. The kits and logo shared are in the size of 512×512. 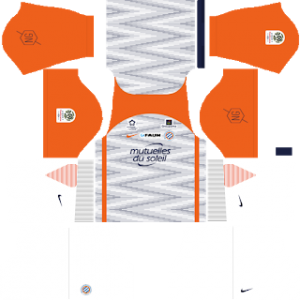 You can use this kits in DLS by clicking the URL to download the Montpellier team home kit 2018-2019. 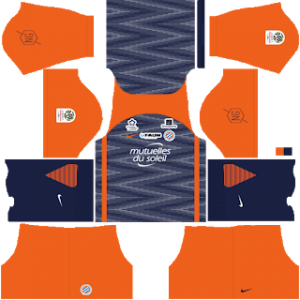 You can use this kits in DLS by clicking the URL to download the Montpellier team away kit 2018-2019. You can use this kits in DLS by clicking the URL to download the Montpellier team Goalkeeper’s home kit 2018-2019. 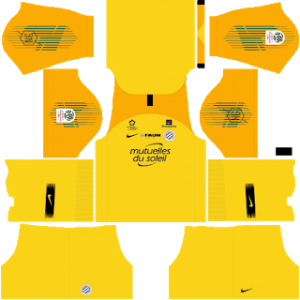 You can use this kits in DLS by clicking the URL to download the Montpellier team Goalkeeper’s away kit 2018-2019. You can use this Logo in DLS by clicking the URL to download Montpellier Logo 2018 – 2019.